Heavyweight champ Deontay Wilder boldly claimed he's so good, he would have even knocked out Mike Tyson is his prime. 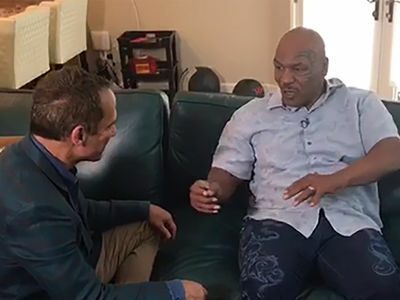 "Iron Mike" was leaving Mastro's Steakhouse in Beverly Hills on Wednesday when we asked him about the statement Wilder gave us last month -- that there's no fighter in history who could beat him. That includes a 1986 Mike Tyson. "I don't think so," Tyson told TMZ Sports. Lennox Lewis has previously weighed in on the debate -- taking Tyson over Wilder. "I like Wilder but he’s never been in there with someone that ferocious who truly wants to break his ribs with every punch. I don’t see it!" Tyson is 51 now and hasn't fought since 2005 ... but woulda been a good one, right?! Mike Tyson Denied Entry into Chile, Sent Back to U.S.